Managing your online reputation is important. Everybody checks online reviews before buying. If you have a bad online reputation, you’ll lose business. 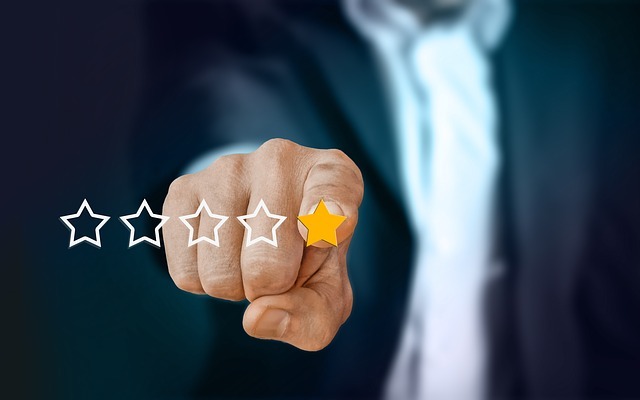 BrightLocal’s most recent survey (opens in a new window) showed that 97% of people now check online reviews and 85% trust reviews in their buying decisions. monitor your reviews to minimize any negative ones. If you’re not managing your online reputation, you won’t be maximizing good reviews of your business. Many people chose whom to do business with based on good reviews. Thus maximizing good reviews increases the chances people buying from you. Not maximizing your good reviews, you could be losing potential business to your competitors who are. Also, maximizing your good reviews drowns out any bad reviews you might have. People searching for whom to do business with unconsciously compare your business’ ratio of good reviews to any bad ones (and do the same with your competitors too). If your ratio is overwhelmingly good, they’ll forgive any bad ones you have. People understand you can’t please everybody all the time. As well, if you’re not managing your online reputation, you run the risk of only getting bad online reviews. People who had issues with your business are more likely leave you bad reviews than people who had good experiences with your product or service. Many bad online reviews can really ruin your online reputation, causing you to lose sales. One way to monitor for bad reviews of your business is to sign up for Google Alerts and following up to convert them into good ones. So, how can you best maximize good reviews of your business? Short answer: request customers to leave you review at time of sale. This should be the first option; otherwise you miss an opportunity to get a review. Emailing them or asking them to leave you a review later is not as effective. This is because many people will promise to and then forget or never get around to it. This way, you maximize your business’ online positive reviews and testimonials and minimize any bad ones. I’d recommend you have a tablet just to collect reviews. Set up a form on your website and link to some third party review sites like Facebook and especially Google on the tablet. Lend customers your tablet for them to enter their reviews and testimonials after you complete a sale with them. But what about if they leave you a bad review? There is software that can catch this and bring them to your attention so that you can then follow up with the bad review and hopefully convert these reviews into good ones. Now you’re managing your online reputation effectively. You’re building up good online reviews and testimonials by asking people to leave you a review on a tablet after each sale. You will build up your online reviews and testimonials as a result. Next, prominently feature your good reviews on your site. A great way to do this is to auto stream your third party reviews from Google and Facebook, etc. right on your business’ website rather than just linking to or listing them. Streaming third party reviews of your business and testimonials on your site establishes immediate social proof of your business. That’s because reviews from well known third party review sites like Google and Facebook are left by people on their own initiative. Listing testimonials on your website alone may not be as credible as third party reviews. With the former, skeptical people may think these testimonials were preselected or even faked. Reviews and testimonials cycling front and center on your site catches your website visitors’ attention when they land on your site’s pages as shown below. Notice how the cycling does not detract from the visitors experience as they scroll down and visit your website pages. Potential customers are going to check out what people say about you on third party review sites anyway. As mentioned above, 97% of people now check online reviews, so by streaming them on your site you cover that for them right on your website. Have I overlooked anything on online reputation management that you’d like to share? You’re welcome to share it below under Leave a Reply. Your comments, questions or suggestions are welcome. Let’s share information together. Watch for my future post on how to use chat bots to really market your business.